The PureLight Solar project, located in Prince Edward County, is a proposal competing under the Independent Electricity System Operator’s (IESO) newly created Large Renewable Procurement (LRP) program. This page is updated to provide information to individuals interested in following the development process as it unfolds. The process is ongoing and will be completed over a period of 3 years after the contract is awarded. Below we have provided answers to some frequently asked questions regarding solar energy. Additionally, we will provide links to specific documentation and approvals for the project as they become available. Our effort is to ensure that all information is provided to deliver a clear, transparent and beneficial process to development. Solar energy utilizes the sun’s rays to generate electricity in a clean and reliable manner. Energy from the sun is harnessed by photovoltaic cells, otherwise known as solar cells. How do solar photovoltaic (PV) cells work? Particles of sunlight, known as photons, hit PV panels and are absorbed by the silicon found within the panels. Photons knock electrons loose from their atoms, causing an electrical potential difference. Current flows through the panels to cancel the potential charge difference, which in turn is captured as direct current (DC) electricity. The semi-conductive properties of the silicon allow the current to flow in one direction only. The electricity is harnessed as direct current (DC) electricity and converted by an inverter into alternating current (AC) electricity to be fed onto the grid for local consumption. Will solar PV panels produce energy when the weather is overcast? Even through cloud cover, there is enough sunlight for PV panels to produce energy. PV panels will not generate as much power as they would in direct sunlight. How long will PV panels last? Solar PV panels rarely malfunction and are replaced on an as needed basis. They have a life span of 25 to 30 years. Weeds will be controlled on the property through scheduled maintenance. No harmful chemical weed treatments are used, and the land will still be subject to all acts and by-laws relating to weed control on properties. 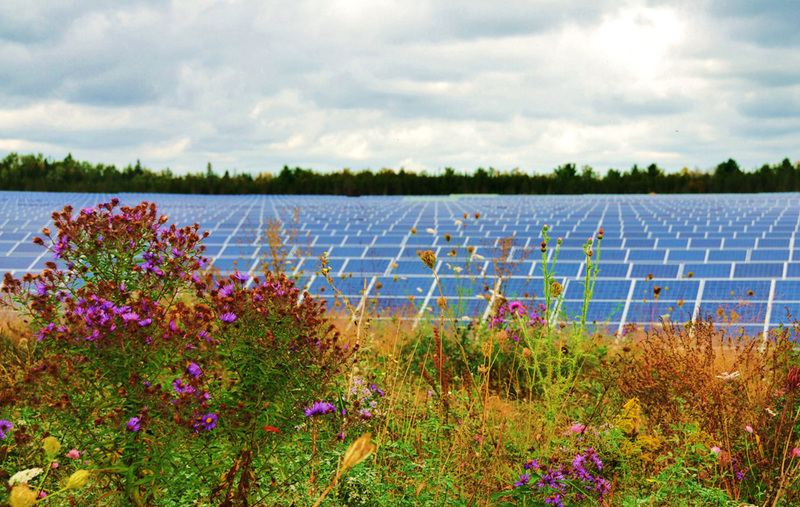 What steps are taken to assess and address the environmental impact of a solar park? Following awarding of contract, the project must obtain Renewable Energy Approval (REA) from the Ministry of Environment before it can be constructed. The REA process (Ontario Regulation 359/09) is under Part V.0.1 of the Environmental Protection Act. The project must go through an intensive approvals process and meet certain requirements, including provincial set back and noise standards, environmental impact studies, and consultation with the public, municipalities and Aboriginal communities. Why solar power and not wind or other renewable energy resources? Solar is the most environmentally friendly renewable resource. Compared to that of wind or hydroelectricity, solar has minimal impact on wildlife and the environment. Are there health effects associated with living in close proximity to a solar park facility? There are no known negative health effects of living in close proximity to a solar park. Solar parks do not produce any air emissions or ground vibrations, nor do they affect groundwater. The increasing demand for clean energy solutions are driving down the cost of solar power, making it a more affordable type of energy. As the market for solar continues to grow with each passing year, solar product efficiency increases and solar production costs decreases. How many jobs are created by a solar project? This can vary dramatically depending on the size and requirements of the solar project. A 10MW solar project creates an estimated 80 to 100 jobs in construction and trade, which can be sourced locally, as well as supporting local jobs in manufacturing and engineering. Every effort is made to source materials, labour and highly skilled employees locally. SkyPower is the largest and one of the most successful developers and owners of solar energy projects in the world. SkyPower develops, finances, owns and operates solar energy projects from the initial stages through to commercial operation. SkyPower's international team of experienced professionals, power project specialists and partners, who possess over 800 years of combined relevant experience, has built, assembled and acquired an extensive pipeline of over 25,000 MW worldwide. In addition to securing 24 utility-scale solar power purchase agreements (PPA) in the past five years, SkyPower recently announced a bilateral agreement for 3,000 MW of solar PV projects to be built on the continent of Africa over the next five years. The SkyPower team has built strategic global partnerships with local developers, international leaders, financiers, suppliers, local communities and indigenous peoples to produce hundreds of millions of kilowatt hours of clean electricity. 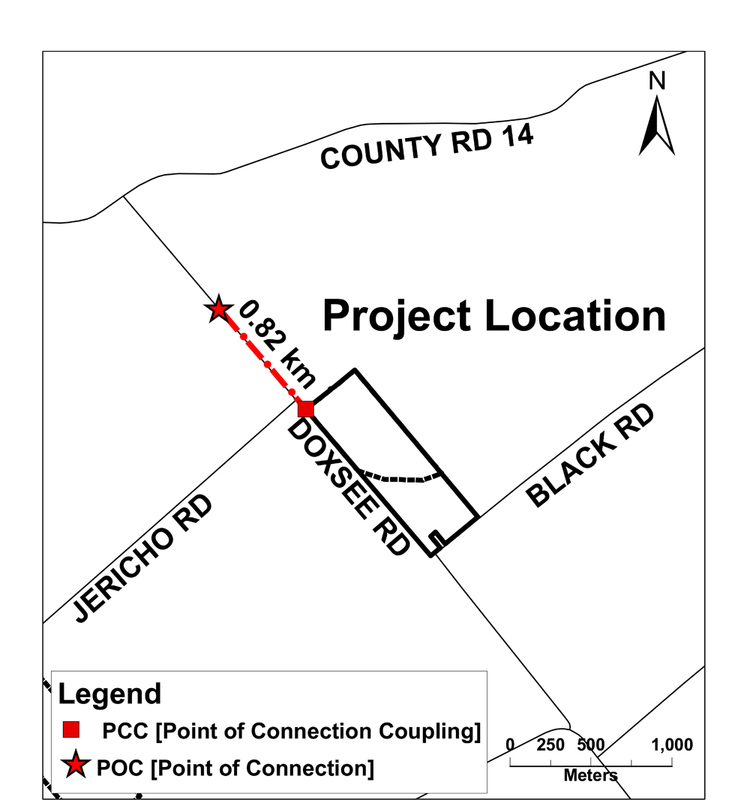 PureLight is a 2432243 Ontario Corp. project being proposed on behalf of SkyPower.